The People’s Liberation Army-Navy’s YJ-62 anti-ship cruise missile is now on Woody Island. China has placed indigenously developed advanced anti-ship cruise missiles (ASCM) on Woody Island in the South China Sea. Based on images shared on Chinese social media websites, IHS Jane’s Defense Weekly reported earlier this week that YJ-62 ASCMs are now on Woody Island. The YJ-62 ASCM would allow China to potentially target any surface vessel within 400 kilometers of Woody Island, providing a powerful power projection capability. Jane‘s notes that the ASCM was deployed on Woody Island around the same time as China’s deployment of HQ-9 surface-to-air missile systems there. Woody Island is a major military outpost for China in the South China Sea and is unlike most other features occupied by Beijing. Notably, it is not quite comparable to China’s Spratly holdings, which have been in the headlines in recent months for Beijing’s extensive artificial island-building activities there. China has occupied Woody Island, which it calls Yongxing Island, since the 1950s. The island today hosts a population of 1,000, which primarily accounts for People’s Liberation Army troops that have been positioned there since 2012. Woody Island notably contains a nearly 3,000 meter airstrip and a harbor. China expanded its garrison on Woody Island beginning in 2012. The YJ-62 has been a platform of interest for watchers of China’s indigenous defense industry for some time now. Developed and manufactured by the China Aerospace Science and Industry Corporation (CASIC), the YJ-62 is a modern ship-launched ASCM, with a speed ranging from Mach 0.6-0.8, a range of 400 kilometers (248 miles), and a sea-skimming terminal attack ability with active guidance. Analysts of Chinese naval developments have noted that the YJ-62, while mostly designed for launch from coastal transporter erector launchers (certainly the case in its deployment on Woody Island), can also be affixed to China’s Type 052AC destroyers. 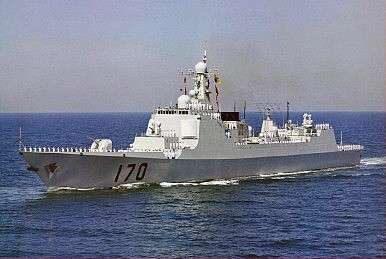 Beijing has operated Russian SS-N-22 Sunburn supersonic ASCMs for some time on its Sovremenny-class destroyers. In its 2015 report to the U.S. Congress on China’s military capabilities (PDF), the United States Department of Defense highlighted the YJ-62 as China’s “most capable” anti-ship cruise missile. Land-based versions of the YJ-62 have been in use by the People’s Liberation Army-Navy since 2008, according to Jane’s. Beyond the YJ-62, China operates a range of other indigenously developed ASCM platforms, including the short-range YJ-62, the YJ-8, the YJ-83, and YJ-91. SAMs on Woody Island don’t mean they’re headed for the Spratlys.